Fiji Corrections Service Commissioner, Francis Kean has highlighted that 222 inmates who are between the ages of 18-25 years have successfully completed their high school education. While speaking at the Launch of the “Sow a Seed Programme” which seeks the help of volunteers, Kean also highlighted that 25 inmates between the ages of 18-25 years were initially enrolled in tertiary education. He stressed that these young offenders have a pool of knowledge that should not be wasted in prison and Kean has urged volunteers to come forward to help tutor these young inmates. Kean says there are currently 350 inmates around the country between the ages of 18-25 years. He says some of the crimes committed by these youths range from theft to aggravated robbery. He also explained that most of the youths need good inspiration and that is the reason behind the launch of the “ Sow A Seed ‘ Programme. Kean also says that the trend in the number of youths coming to prison has been increasing over the years. 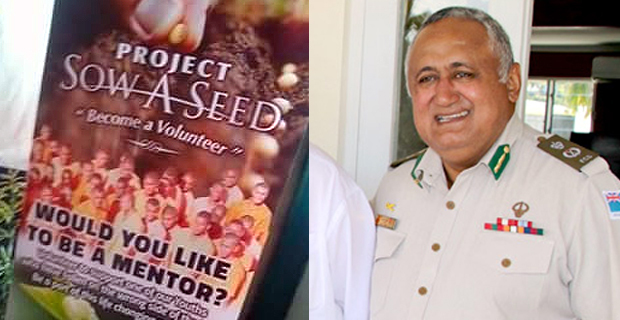 People who are willing to become volunteers can contact the Fiji Correction Services Head Office.